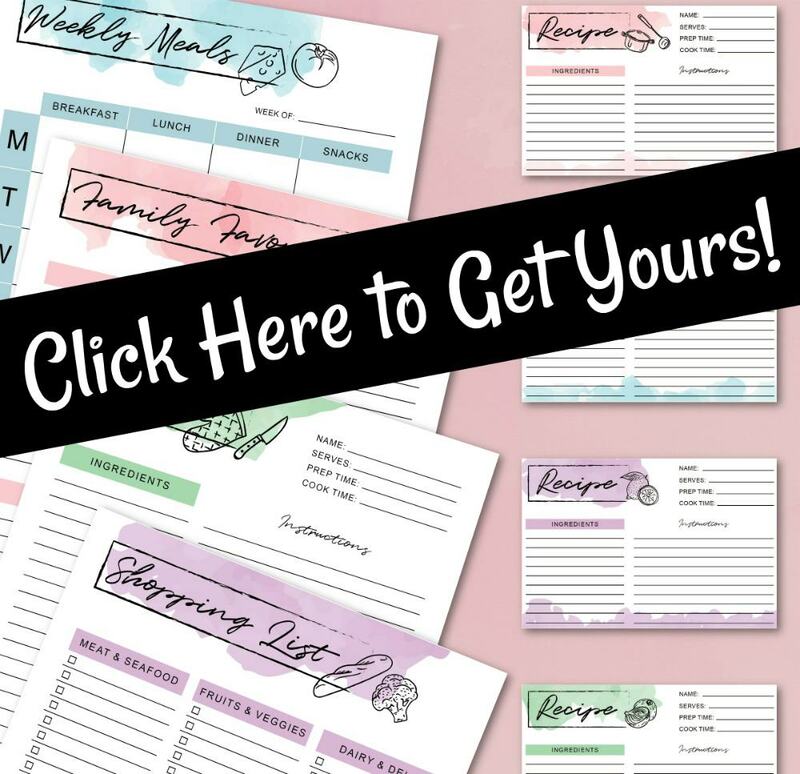 Free Printable Meal Planner – My Gift to YOU! This Meal Planner is my gift to you today! It doesn’t matter if you’ve been meal planning for ages or if you are completely new to this thing, this menu planner kit is sure to help you with meal planning once and for all. 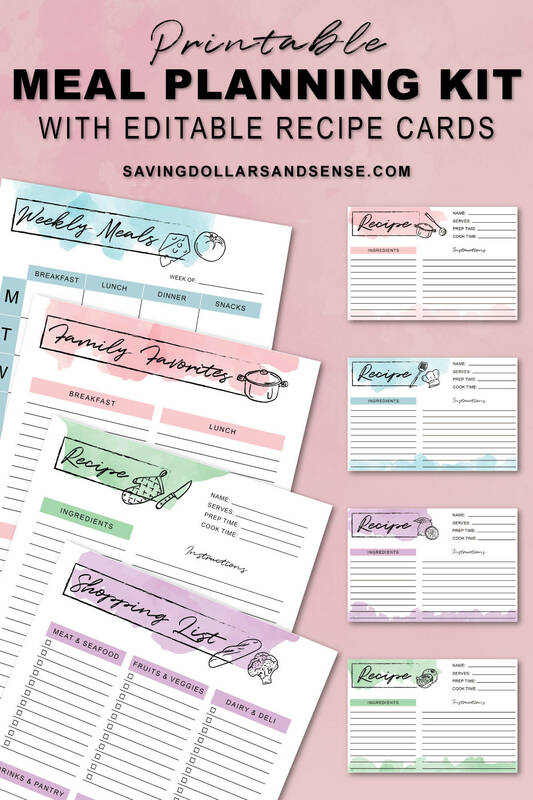 I am super excited to offer you this brand new Saving Dollars and Sense Freebie today!! If you’ve been following my posts the last few weeks, then you already know that there has been plenty of talk around here about meal planning, and how important it is to make it a point to plan out your meals each week, if you want to save money. 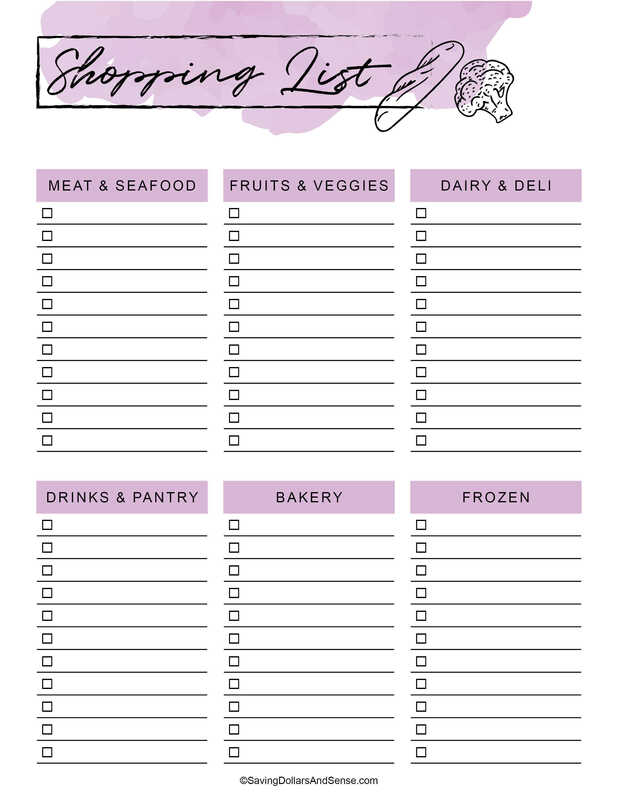 This Printable Meal Planner includes editable recipe cards, weekly meal planner template, printable grocery shopping list and everything you need to become a menu planning pro right away. No matter how much I love technology, there are some things that I find I do better with when I write them down, and this is just one of those things. I love being able to plan my meals and write my grocery list at the same time. 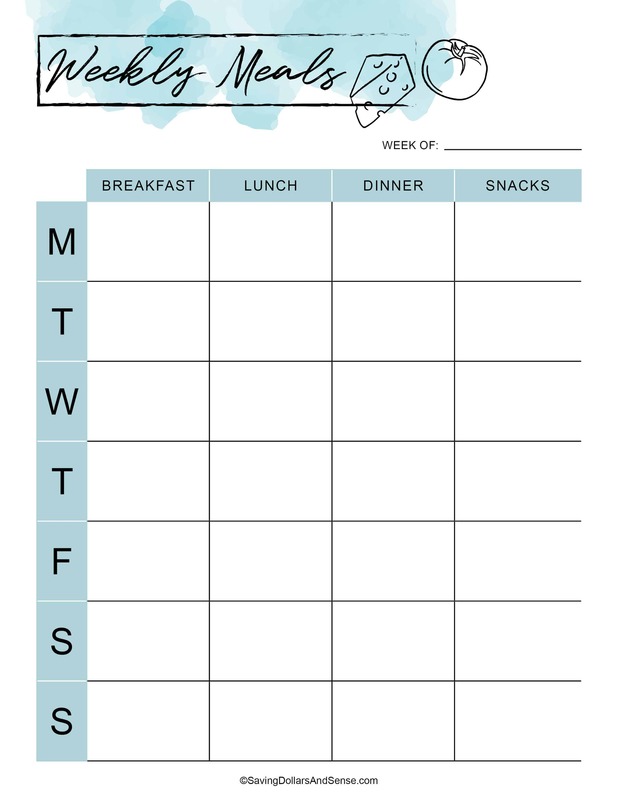 This meal planning kit has a printable menu planner and shopping list that you can use each week to keep track of everything. Once I finish planning out my meals for the week, I stick the menu plan on the fridge for all to see. No more “What’s for dinner?” questions because it is easy for anyone to glance at the menu plan and see for themselves. The shopping list that I make as I am filling out my menu plan for the week, gets tucked into my purse once I am done. I stick to this list when I do my weekly shopping trip and it saves me so much money because I am no longer buying extra stuff or things I forgot that I already have at home. The editable recipe cards allow you to type in your own favorite recipes and then print them out and stick them inside any recipe card file you would like to use to keep them all together. 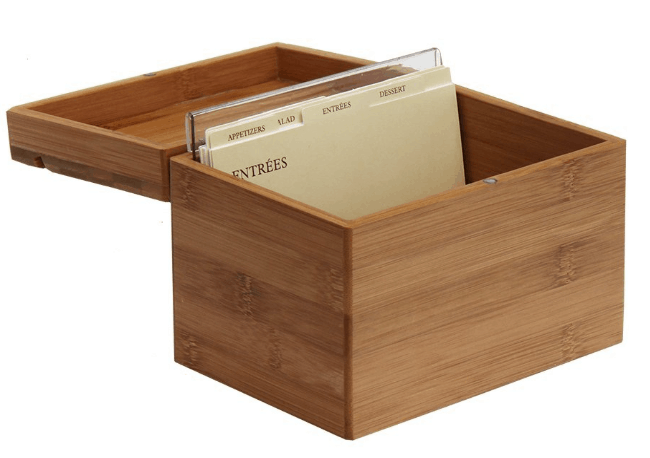 I love this bamboo one from Amazon! 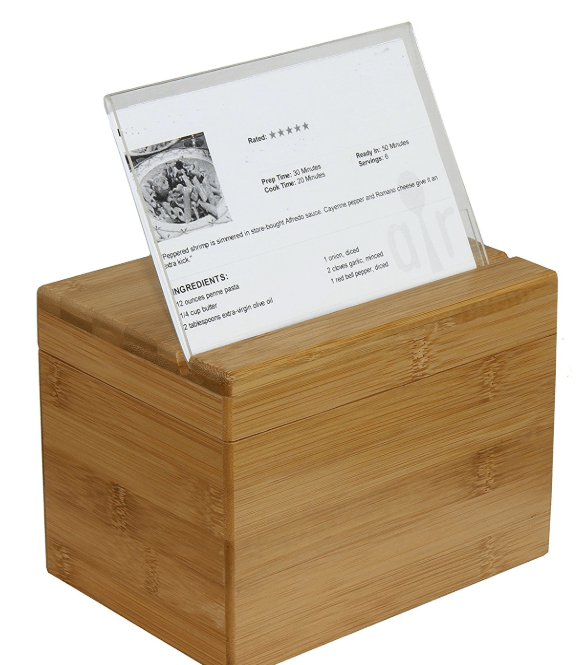 It comes with recipe card dividers and has a neat frame that you can use to easily see whatever recipe you are currently making. I have been working on this for a while now and I am super excited to finally be able to offer this gift to you. Once you get your menu planned, join me over in our community where we share what we are making each day and find encouragement and inspiration to keep up the meal planning together! 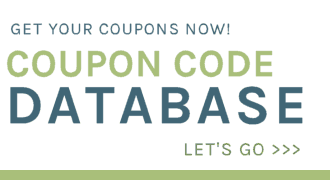 Get your FREE Meal Planner Here!